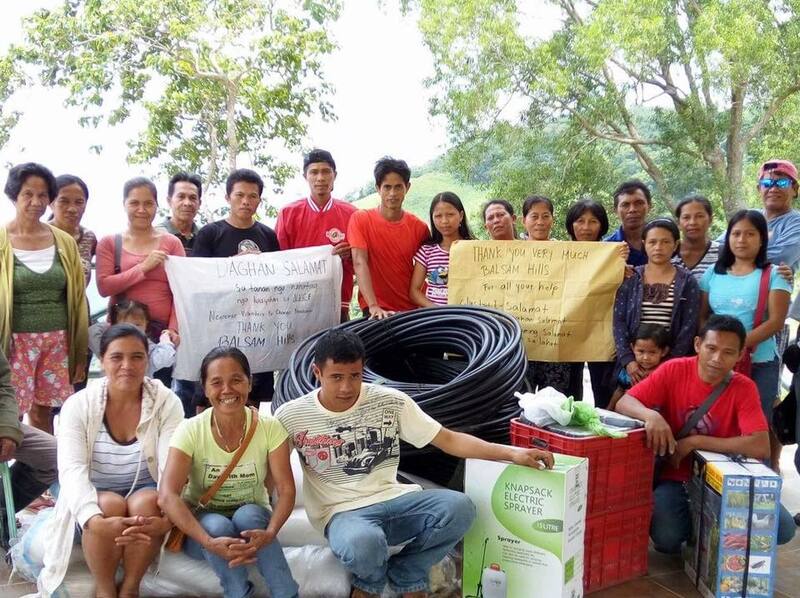 Thirty-eight farmers from Bukidnon Organic Farmers Association and Iliranan Tribal Council of San Carlos City, Negros Occidental, were overjoyed when they received their new sets of farming tools and greenhouse construction materials provided by Balsam Hill, an American company active in corporate philanthropy that has chosen NVC to be one of its charity partners. Earlier this year, Balsam Hill, which has been ranked as one of Silicon Valley’s fastest growing internet retailers, introduced Project Joseph to its employees, who were inspired to support the program. Their contribution later matched by the company and personally handed to NVC this June by Mac Harman, Balsam Hill chairman and CEO, during Balsam’s visit to Bacolod. This is just a portion of the company’s donation. Coming are sewing machines, pedicabs, welding machines, and more. Thank you so much, Balsam Hill, for supporting NVC’s Project Joseph! In December 2018, NVC recognized the Bukidnon Organic Famers Association as one of its best partners in providing produce used to develop Mingo Meals and other food packs to combat hunger in the Philippines.